The men’s ready-to-wear shows for Spring-Summer 2017 recently ended in Paris. 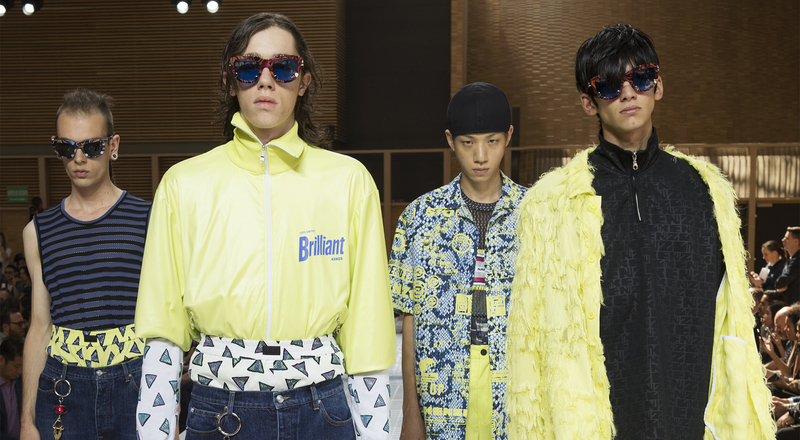 Louis Vuitton, Givenchy, Berluti, Kenzo and Dior each proposed their vision of masculine silhouettes that are elegant, rebellious and bold. . The Louis Vuitton Spring-Summer 2017 men’s collection evokes the roots and heritage and boundless creative influences of Africa. 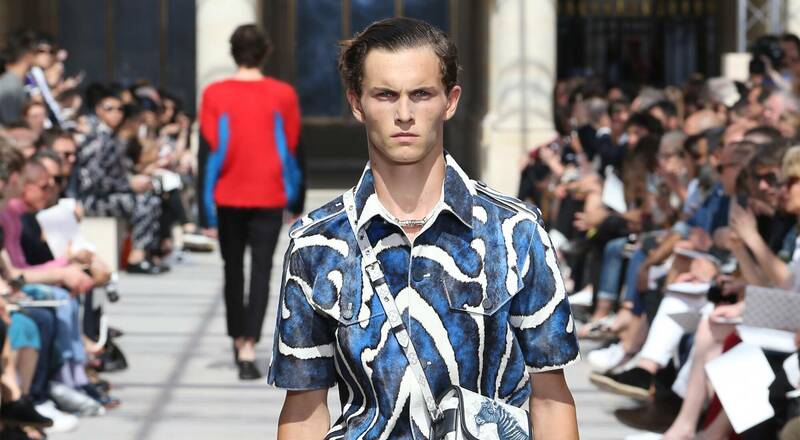 Inspired by memories of his childhood in Kenya and Botswana, Men’s Artistic Director Kim Jones presented a veritable bestiary in the gardens of the Palais Royal, replete with animal designs, exotic leathers and Saharienne jackets. 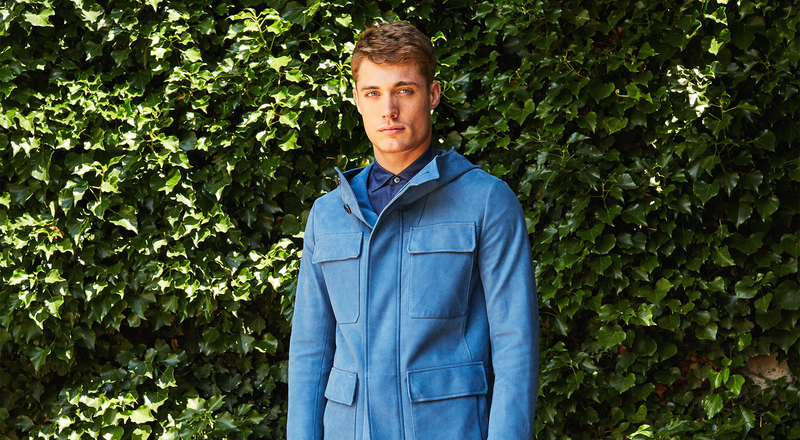 The clothes create the silhouette of a gentleman traveler on a refined safari, joined by Punk influences with colorful crew neck mohair sweaters with zips. For the Spring-Summer 2017 collection, Riccardo Tisci created an urban wardrobe that melds streetwear codes with meticulous bespoke tailoring quality. 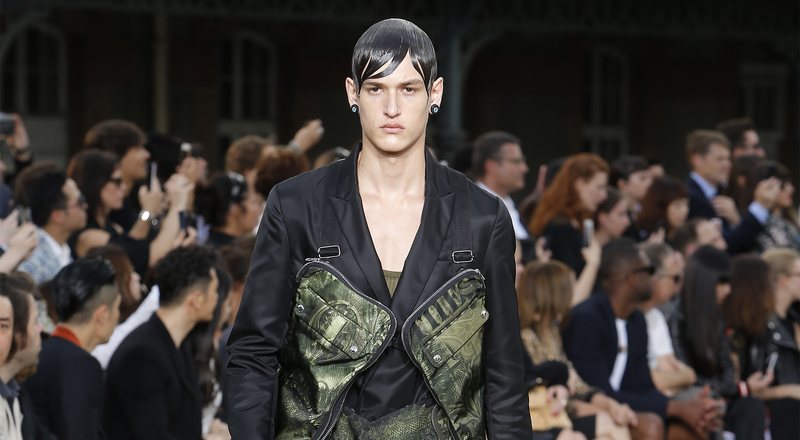 Silhouettes emphasized masculinity with oversize pockets and zips, camouflage prints and greenback money patterns. 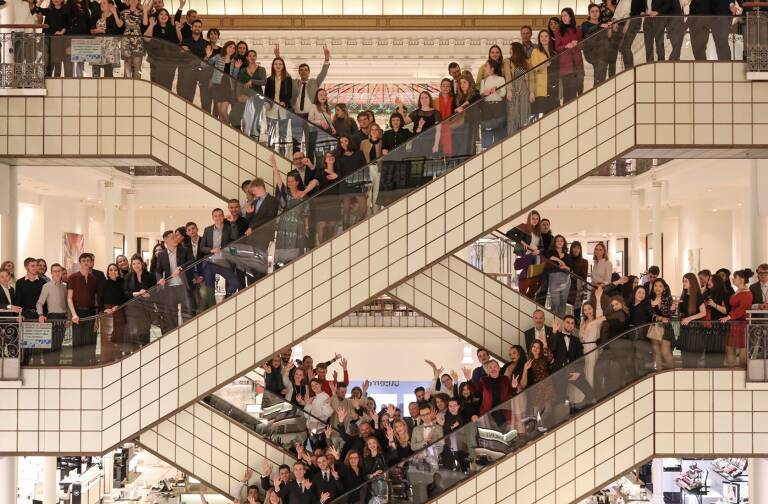 Pyramid symbolism punctuated the designs in the collection like an embodiment of serenity and stability. Givenchy again transcended fashion codes by including looks from the women’s haute couture collection in the show, featuring slender pleats, slits and sequins. 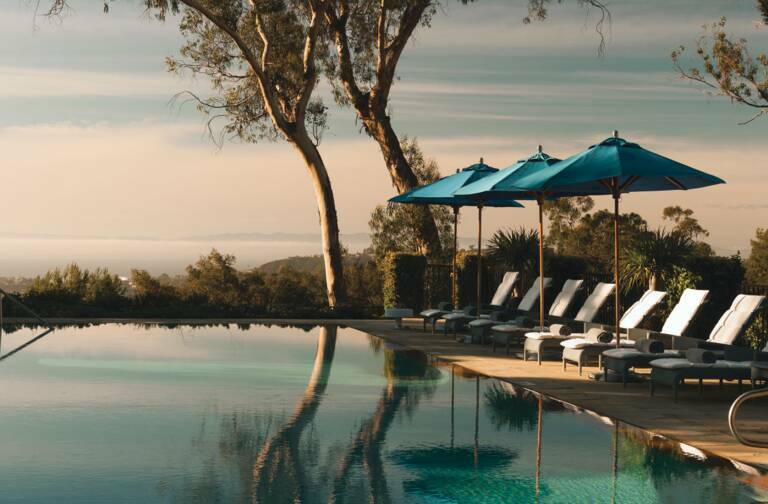 To celebrate spring and the beginning of summer, the Berluti design studio presented its collection at a poolside cocktail party. The silhouettes showed a relaxed, well-groomed wardrobe, combining freedom of movement and the effortless elegance that defines the House. Pure white, sunshine yellow and turquoise blue set the tone for daytime, while navy blue, rust red and deep brown spoke to evening wear. The looks were accompanied by playful Berluti takes on accessories, some in the House’s signature Venezia leather. Shoes were summery too, including hybrid sneakers. For their Spring-Summer 2017 collection, Carol Lim and Humberto Leon drew inspiration from 1990s club life, with acidulous-colored urban pieces that pay homage to New York night life. Psychedelic prints lit up mini-shorts and windbreakers, while multicolor print boxer shorts revealed high socks tucked into colorful two-tone shoes. In a distinctive touch, women’s looks from the 2017 resort collection shared the runway with the men’s silhouettes. 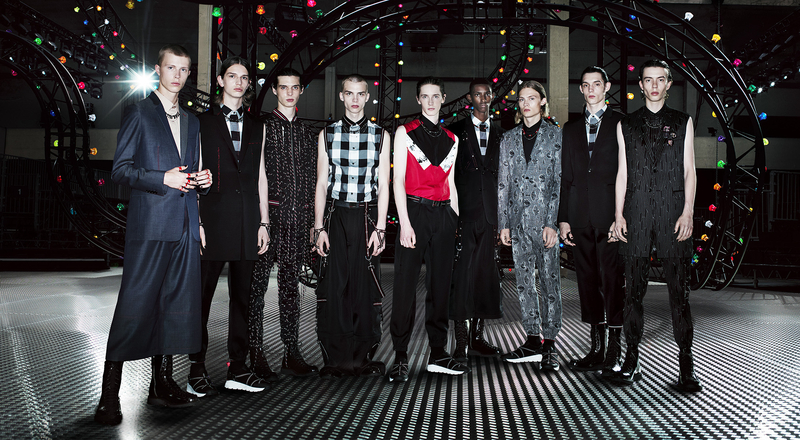 Picking up from the last Dior Homme collection, the Spring-Summer 2017 creations by Kris Van Assche channeled New Wave culture, blending sportswear with refined details that show the savoir-faire of Dior’s ateliers. Hybrid creations formed black and red silhouettes that revisit the formal men’s wardrobe, adding eyelets, lacing, staples and printed wools, while knits and harnesses rebelliously disrupt the classic two-piece suit.